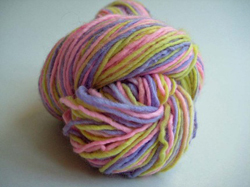 When I purchased the yarn that inspired my Snowberry Hat, I decided to find some squeeable yarn and such from etsy that crocheters, knitters, and spinners could drool over. 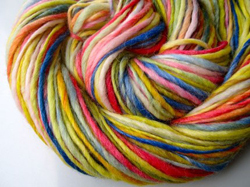 These shops have hand painted/dyed/spun yarn, roving, and more. 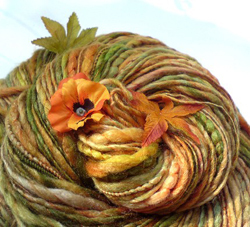 I’ve chosen just a few shops but there are many more on etsy and on Artfire as well. 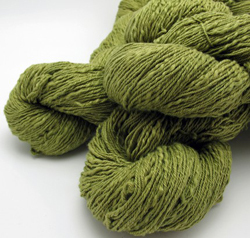 I do not apologize in advance for the plethora of green items. 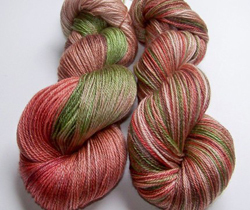 I tried to choose two images from each shop but some of the yarns insisted on coming to the party and I couldn’t resist. 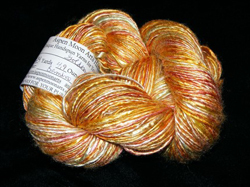 First up is midnight and lulu – http://www.etsy.com/shop/midnightandlulu – in the Sonoma Valley in California, is where I got the Snowberry yarn from. 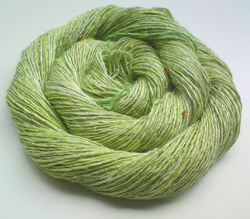 Currently, they don’t have many yarns available, but it’s worth keeping an eye out as more are added. 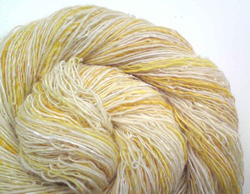 The second image shows the Snowberry yarn which was thick and thin but lovely to work with and the tonal changes made for a great design. 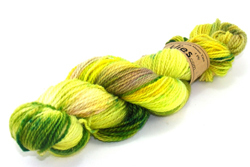 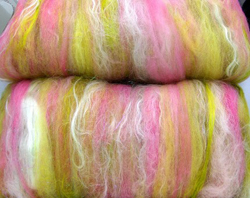 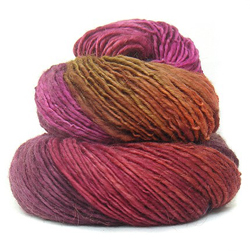 Shunklies – http://www.etsy.com/shop/shunklies – from Yorkshire, Engliand is next with some roving and hand dyed yarn. 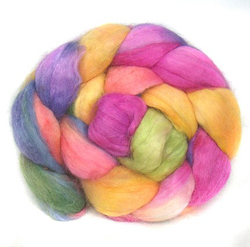 Felt Studio UK – http://www.etsy.com/shop/FeltStudioUK – is based in Leeds, England and has hand spun yarn and squishy roving. 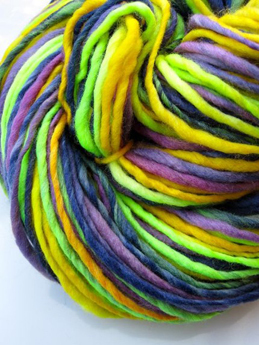 Weird & Twisted – http://www.etsy.com/shop/WeirdAndTwisted – in Heidelberg, Germany sometimes adds things like beads and other items to their hand spun yarns. 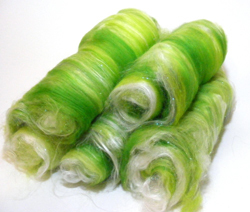 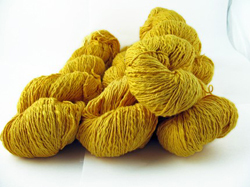 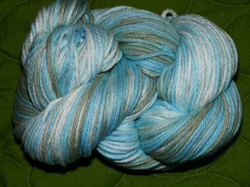 Dyeabolical Yarns – http://www.etsy.com/shop/DyeabolicalYarns – in St. Louis, Missouri, has hand spun and dyed yarn and roving as well. 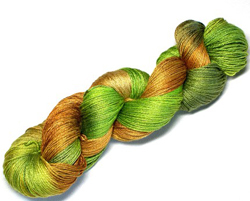 The green and gold yarns below would so loverly together. 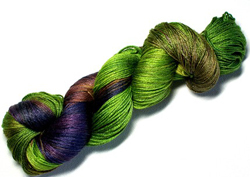 The Kangaroo Dyer – http://www.etsy.com/shop/kangaroodyer – in Greenfield, Massachusetts has some of the silkiest, shiniest yarns I’ve seen and the dyes just enhance the shine. 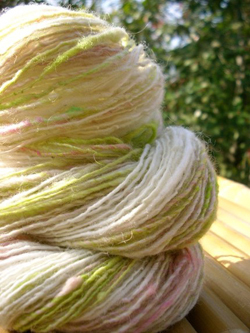 Aspen Moon Arts – http://www.etsy.com/shop/aspenmoonarts – has handspun yarn that looks soft and shiny. 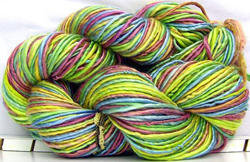 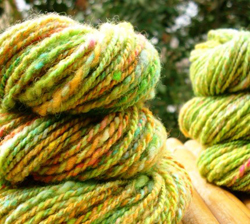 Artric Yarn & Fiber – http://www.etsy.com/shop/marion – in Branford, CT has roving and hand spun yarn with vibrant colors that seem to glow. 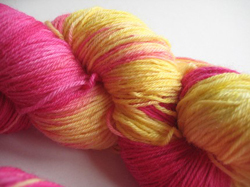 Gemini Knits – http://www.etsy.com/shop/GeminiKnits – from East Sussex, UK has colors that look like sweet candy. 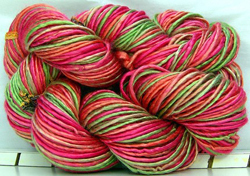 SeeJayneKnitYarns – http://www.etsy.com/shop/SeeJayneKnitYarns – in Vancouver, British Columbia not only has hand dyed/spun yarn, but stitch markers for knitters (but she’ll gladly replace the rings with lobster clasps for us crocheters), jewelry, and fingerless mitts. 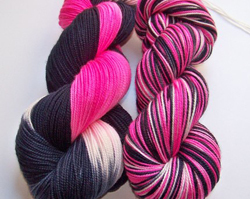 Doesn’t the first yarn below look like licorice whips? 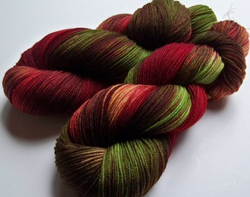 And the next one so reminds me of deep red cherries still on the tree. 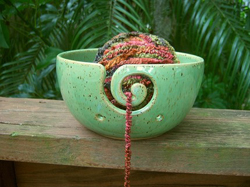 And finally, not yarn but yarn bowls and other stoneware pottery from Dorothy Domingo – http://www.etsy.com/shop/dorothydomingo – in Sarasota, Florida. 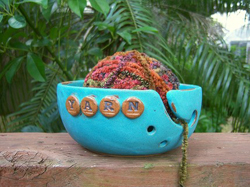 The green bowl below is calling my name as is the matching utensil holder that would look lovely on my painting table where it would hold all my paint brushes! 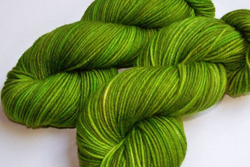 Alright, that’s enough for this time and I’d like to ask you folks for a favor … if you order items from these etsy sellers, please let them know you read about them here!